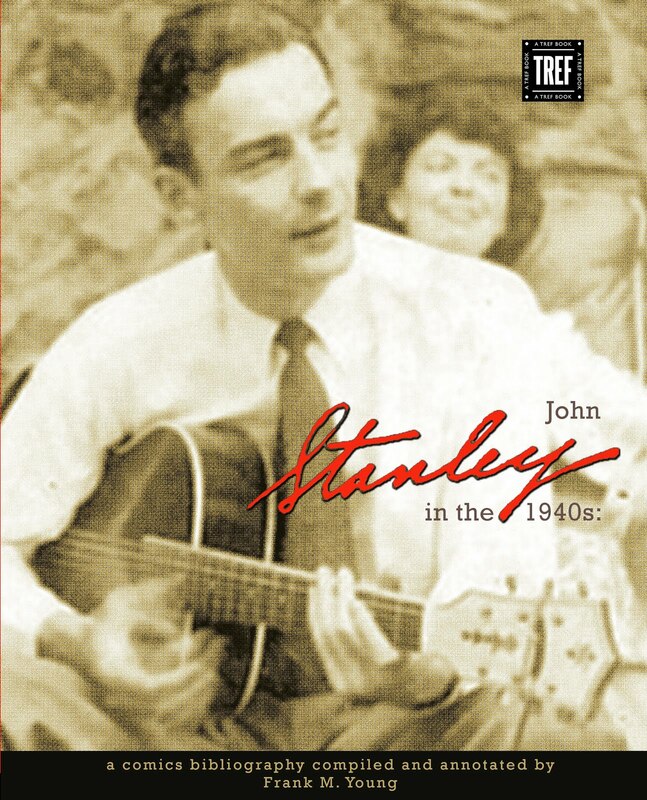 Stanley's version of Tubby Tompkins is a direct descendant of his Woody Woodpecker. 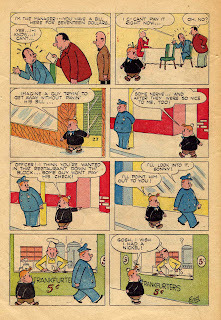 In many of Stanley's WW short stories, which appeared in New Funnies from 1944 to 1947, Woody is an agent of chaos who appears in the lives of others. He is accepted by them, devastates their world, and moves on--all without knowledge of his actions, or their tsunami-like effects. 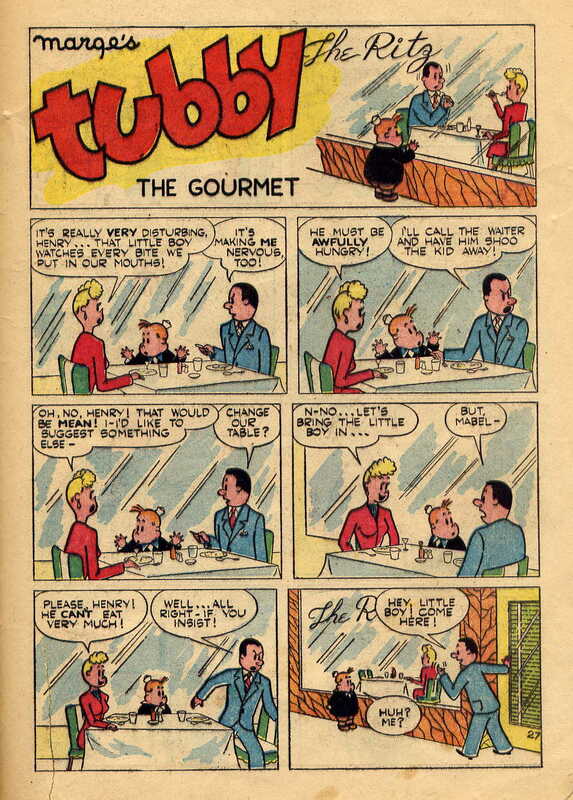 This Woody story from 1945 anticipates the vibe of "The Gourmet"--with one significant difference. 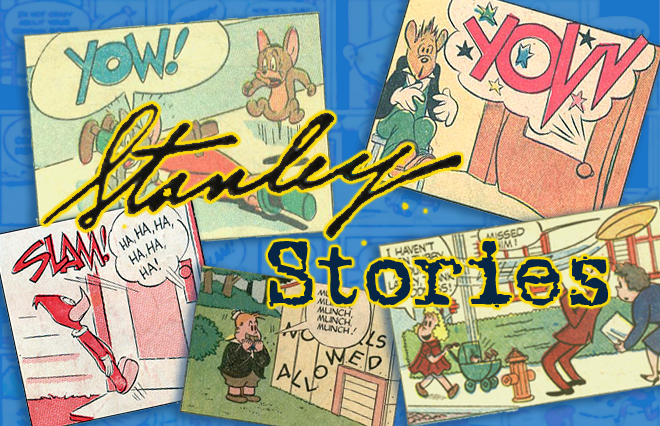 Stanley never owned Woody the way he owned Tubby, and the other cast members of Little Lulu. By 1950, Stanley had utterly made the "Lulu" cast his own creations. 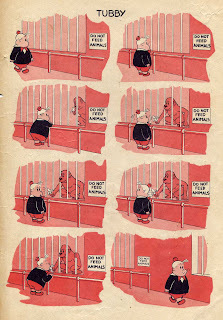 His efforts were apparently sanctioned by "Lulu" creator Marge Buell. They made her steady money throughout the 1950s. She finally sold the characters outright to Western Publications. Lulu is now the property of Random House and Sony Classic Media. Stanley's versions of Woody Woodpecker, Tom & Jerry, Andy Panda, et al, seem more like acts of stealth than of ownership. 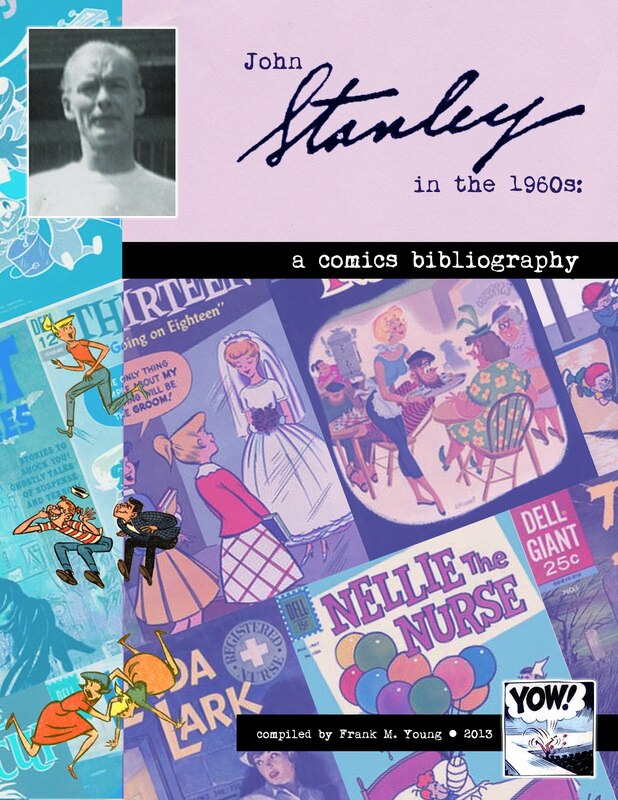 Stanley significantly retooled these popular characters for their comic book appearances. He did things to them that (a) imbued them with recognizable human personalities and (b) went 100% against the grain of their more high-profile animated cartoon personae. No one seems to have complained as Stanley gave these ciphers an extreme makeover. Carl Barks, on the other side of the continent, invested the Donald Duck cast with strong personalities, and found himself more consistently challenged by his editors for it. Barks had several completed stories rejected. At least one of them is lost; others were printed in the flawed but essential Carl Barks Library in the 1980s. To my best knowledge, Stanley only had one story withheld from publication--"The Bogeyman," a nightmarish, freaky piece that was slated for the 23rd issue of Little Lulu in 1950. It, too, later saw print, and can be had via Dark Horse Comics' black-and-white reprint series. 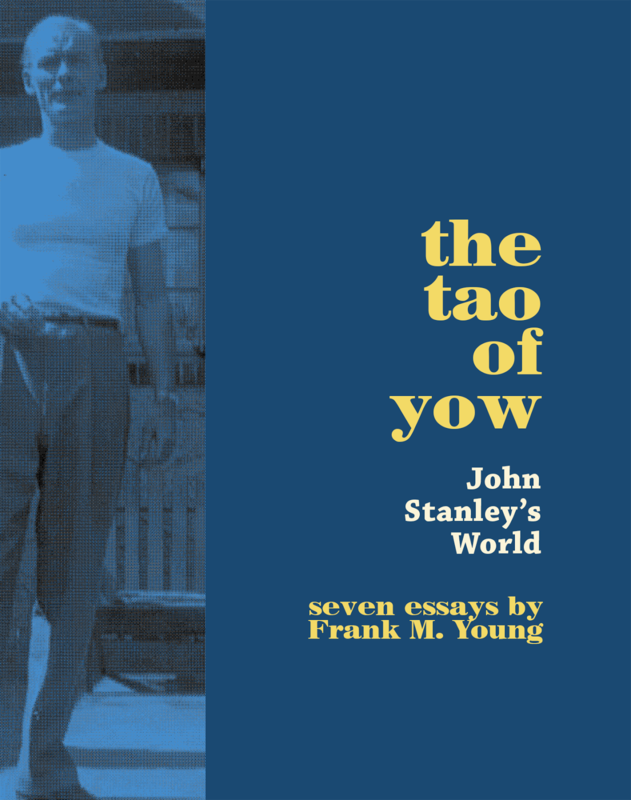 Stanley had greater freedom with his licensed properties, and thus took greater risks. 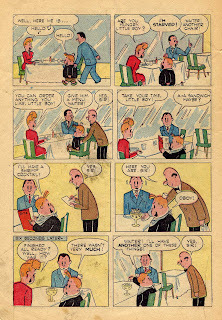 All of this work, from 1943 to '47, prepared him for the assignment of Marge's Little Lulu. As can be seen in our previous post, Stanley took a long time to transform the characters into living, recognizably human entities. His first two years of "Lulu" sees the cast slowly osmose from chase-the-dog-with-a-hatchet imps to solidly defined, distinct characters. 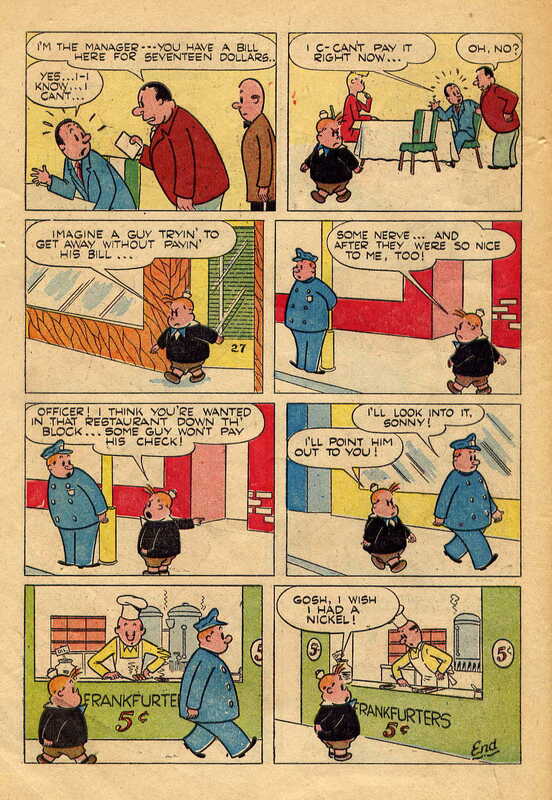 By the time of Little Lulu's debut as a regular title, Stanley had the characters' traits pretty well defined. He would hone them further through the end of the 1940s. The Tubby we see in this story, while fully recognizable, is still not 100% set. He retains much in common with the Tub we recently saw in "The Kid Who Came To Dinner." The early Tubby is much more of a user than he'd soon become. 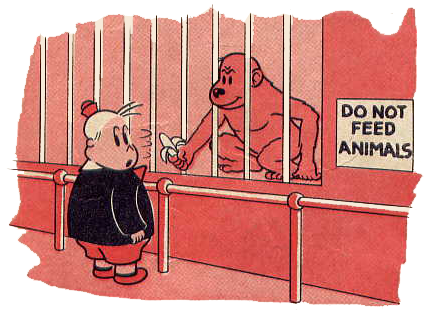 By 1950, Tubby became both user and victim, and was thus more sympathetic. He was still guided by his wild id and enormous ego, as seen in "The Gourmet" and in our previous post. But he now had a conscience. This further enriched his character. His sense of right and wrong was now filtered through the lens of his considerable cognitive biases. Tubby, from 1950 onward, has the unflappable sense that he is right in his thoughts and actions, despite alarming evidence that he isn't. This is the crowning touch to John Stanley's finest creation. 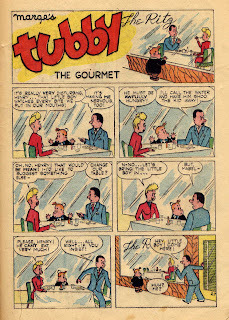 "The Gourmet," in six pages, significantly defined Tubby's still-changing character. Like Woody Woodpecker, Tub wanders into the lives of Henry and Mabel. This young couple are clearly outside their comfort zone, as they dine at The Ritz. In the invisible back-story that we're free to imagine, Henry and Mabel have probably saved for weeks to afford this meal. They're a bit nervous in this posh bistro. They don't know which fork to use. 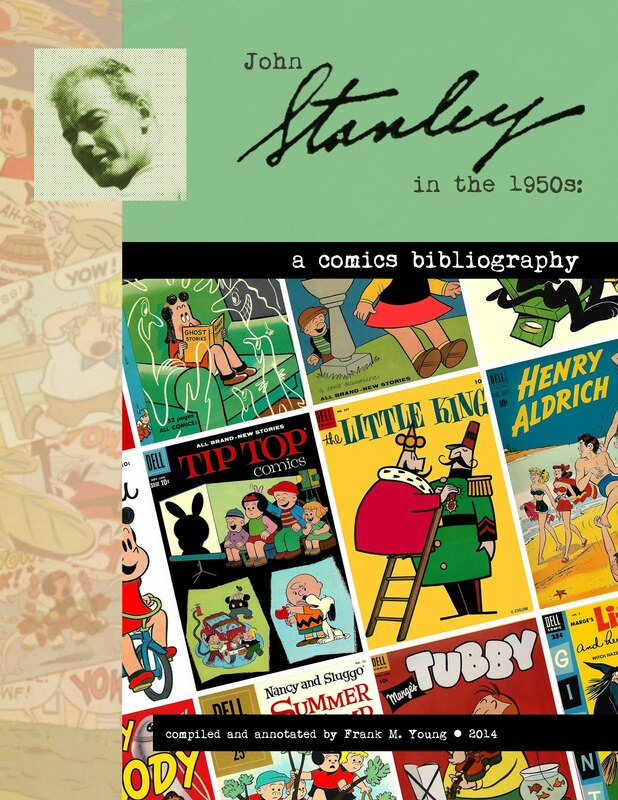 As characters of lower status, in Stanley's world, they have bigger hearts. They don't realize that Tubby is the worst possible thing that could happen to them. They do the right thing by asking him inside and giving him food. 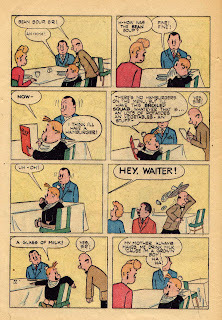 It's too bad that they chose Tubby, who is merely window-shopping, and viewing their meal as a kind of street theater. Getting inside The Ritz is, likely, the last thing on Tubby's mind, as he hovers at the window, fogging up the glass with his anxious breath. His fixation is mistaken for genuine need. 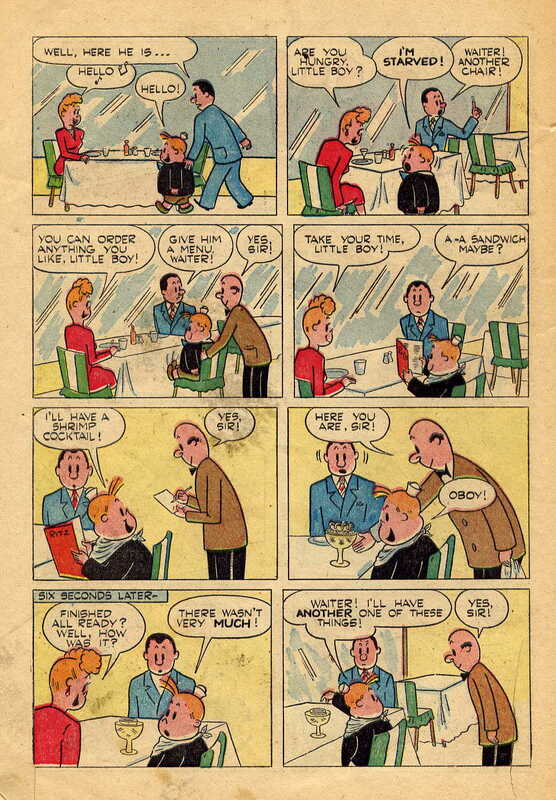 Henry and Mabel are about to have their lives shattered, and Tubby to have his ego--and stomach--further fortified. What follows is a breathless episode of gluttony--beautifully timed and presented. Stanley's use of time-specific captions are riotously funny. The bewildered, big-hearted young couple sit back in mounting astonishment/horror as Tubby packs away a four-course meal. As he has been invited to eat, on their dime, Tub chooses from the menu with zeal. He takes the opportunity to try new things--and to get as much as possible while his meal ticket remains open. Henry and Mabel seem to have barely touched their spartan entrées. The young couple is punished for their kind actions. We don't see their punishment, but it is acute social embarrassment for them, outcome regardless. It will be years before they dare show their face again at The Ritz. As their woes increase, Tubby drifts out of the scene, innocent of the havoc he's wreaked. In the story's poetic conclusion, the presumably-stuffed Tubby stops to admire a hot dog stand. This suggests, ala the ending to Chuck Jones' cartoon One Froggy Evening, that the scenario may soon play itself out again. Tubby's curiosity, openness and appetite are bottomless. 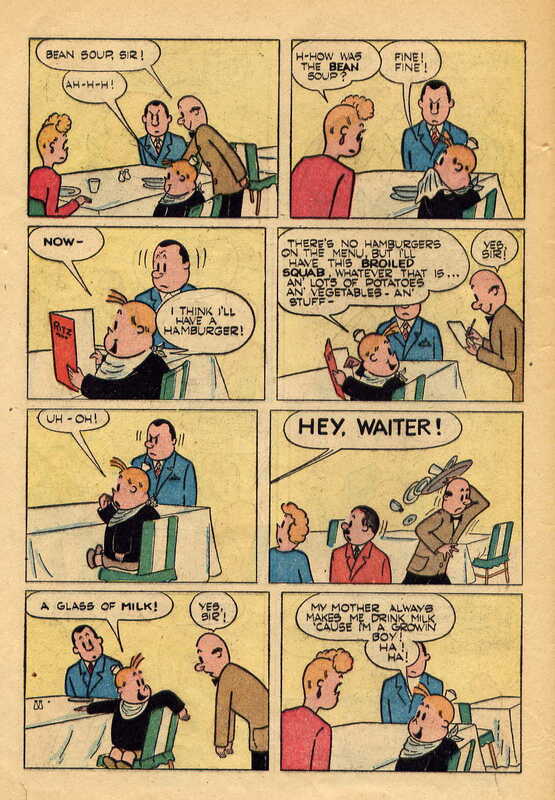 As a chaser, here's a one-page strip from the same issue. 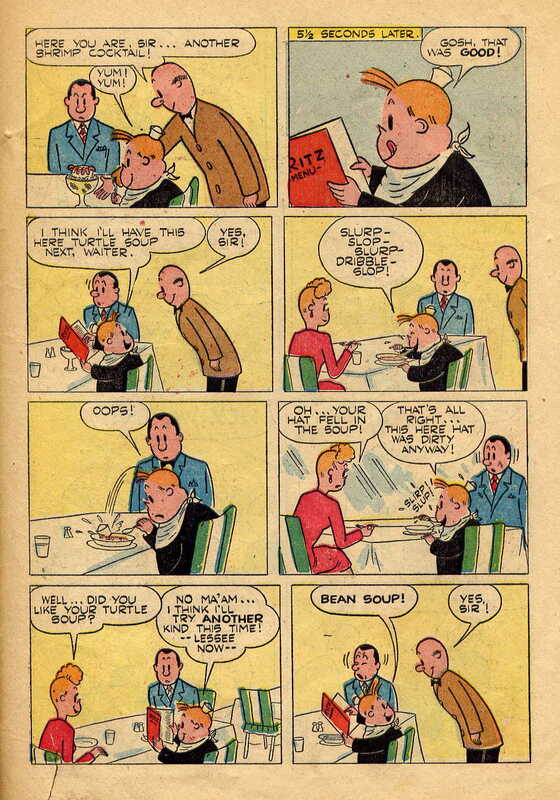 It can be seen as an epilogue to "The Gourmet." 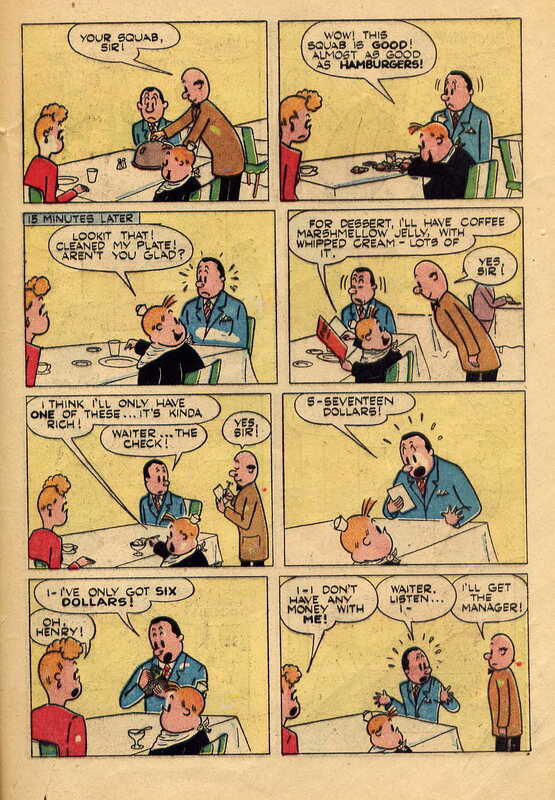 Tubby's gluttony is incredible in this story compared to 'The Kid Who Came To Dinner' and 'Great Day'. 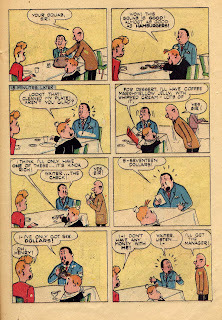 He polishes off two shrimp cocktails in less than ten seconds each, allows his (dirty) hat to fall in his soup, and afterwards abandons Henry and Mabel with the $17 bill, which could possibly equal $92 today and shows no remorse for his actions. Again, this shows how Stanley controlled his incarnation of the character, something the other writers weren't able to do after Stanley's departure of the series. Since Frank already said everything perfectly already, I'll just add that the last panel of this story has be the most perfect thing Stanley ever did.